Plants falling on people was a major theme in the Caustic Soda podcast Killer Plants episode, which is why part one of this two part series was devoted entirely to the subject. Yet, in the process of discussing death by falling branches and fruits, the hosts also mentioned at least three other highly dangerous and potentially deadly plants: ongaonga, gympie gympie, and the little apple of death. Those plants are featured here. The nettle family, Urticaceae, includes a number of species that are best admired from a distance. Several genera (out of around 53 total) in this family are equipped with stinging hairs – sharp protrusions on leaves and stems that contain a variety of toxic compounds. Contact with these plants is ill-advised. Reactions vary from mild to extreme depending on the extent of the contact and the species in question. 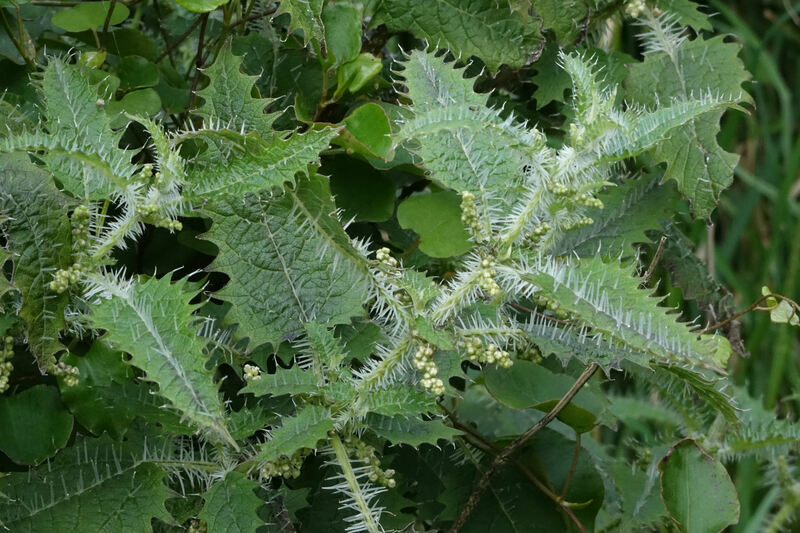 Two of the plant species mentioned by the hosts of Caustic Soda are members of this family – ongaonga (Urtica ferox) and gympie gympie (Dendrocnide moroides) – both of which are on the extreme side of the scale. Urtica ferox is a New Zealand endemic that is commonly found in coastal and lowland areas as well as forest edges and shrublands. It is a shrub that reaches up to three meters tall and often occurs in dense thickets. The margins and midribs of its leaves are adorned with stiff hairs that are just a few millimeters long and poised to inject toxic compounds including histamine and acetylcholine upon contact. The “sting” is painful and can cause a variety of reactions including itching, inflammation, difficulty breathing, paralysis, blurred vision, and convulsions. Symptoms can last for several days, and neurological disorders occur in extreme cases. Ongaonga has been blamed for killing several animals, including dogs and horses, but is charged with only one human death. In 1961, two hikers ventured into a patch of the stinging nettles. Shortly after contact they had trouble walking, breathing, and seeing. One of the men died a few hours later; the other recovered. Several species in the nettle family can be found in Australia, one of which is particularly dangerous. Dendrocnide moroides, commonly known as stinging tree or suicide plant, is an early successional species, colonizing disturbed sites and sunlit gaps in the rainforest canopy. It grows to about three meters tall and has large heart-shaped leaves with sawtooth margins. All aboveground parts of the plant are covered in silicon hairs that are packed with a highly potent neurotoxin. 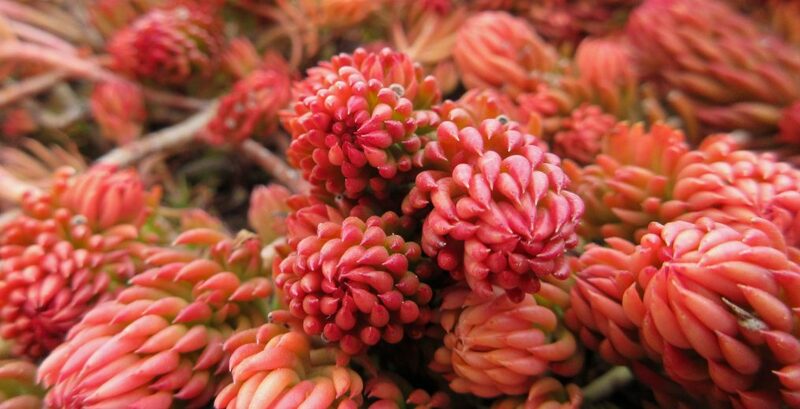 The hairs detach easily from the plant and embed themselves in the skin of its victims. The “sting” is extremely painful and can last anywhere from days to months, possibly even returning from time to time years after contact. A rash, swelling, and itching sensation accompany the intense pain. Following an encounter with the stinging tree, the “stingers” should be removed from the skin with a hair removal strip or some other sticky material, taking care not to break off the embedded tips. The affected area can be treated with diluted hydrochloric acid (1:10 by volume) to reduce the pain. Live plants are not the only ones to be wary of, as even old herbarium specimens have been said to sting those that handle them. Touching the plant isn’t even necessary, as the hairs easily dislodge from the plant in the wind and can be breathed in. One researcher reports developing a severe allergic reaction to the plant after working around it for several years and was advised by a doctor to abandon her research. The spurge family, Euphorbiaceae, has many toxic plants among its ranks, including a species that Guiness World Records has awarded the world’s most dangerous tree. 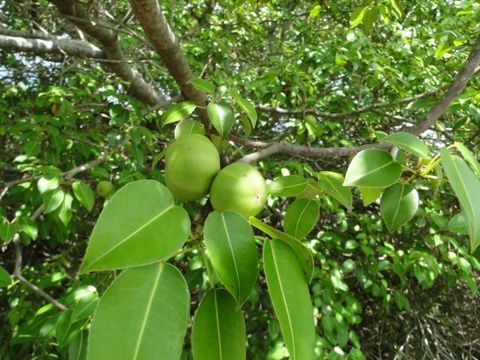 Commonly known as manchineel or beach apple, Hippomane mancinella demands respect, as a highly toxic latex sap is found throughout the entire plant. Just standing near it can result in painful blistering of the skin. Manchineel occurs along shorelines and in coastal woodlands and swamps in Central America and the West Indies, including southern Florida and the Florida Keys. It is a deciduous tree that grows to about fifteen meters tall, has thick grey bark, and glossy, elliptical leaves. Its fruits look like yellow-green crabapples and are sweet smelling and initially sweet tasting, that is until the burning and swelling starts followed by severe gastroenteritis. Interaction with manchineel is inadvisable. The thick, milky sap seeps out of leaves, branches, bark, and fruits and causes intense blistering of the skin and temporary blindness if it gets near the eyes. During rainstorms, the sap becomes incorporated in raindrops and can drip or splash onto unwitting bystanders. Smoke from burning trees can also irritate the skin and eyes, and inhalation of the sawdust can result in bronchitis, laryngitis, and other respiratory issues. Modern history does not include reports of human fatalities resulting from eating the little apples of death, but descriptions offered by those who have consumed it confirm that it is an incredibly unpleasant experience.